Many consumers and tech enthusiasts got their first taste of the smart speaker market by picking up an Echo, Amazon's signature Alexa-powered device. Not long after, Amazon released the Echo Dot, a smaller but similarly-functioning device that sold at a much lower price point. Through time, Google would come to compete with the Echo with their Home speaker, and thanks to an announcement at the recent Google Event, we know the that Google has their own competition for the Echo Dot in the new pint-sized Google Home Mini smart speaker. 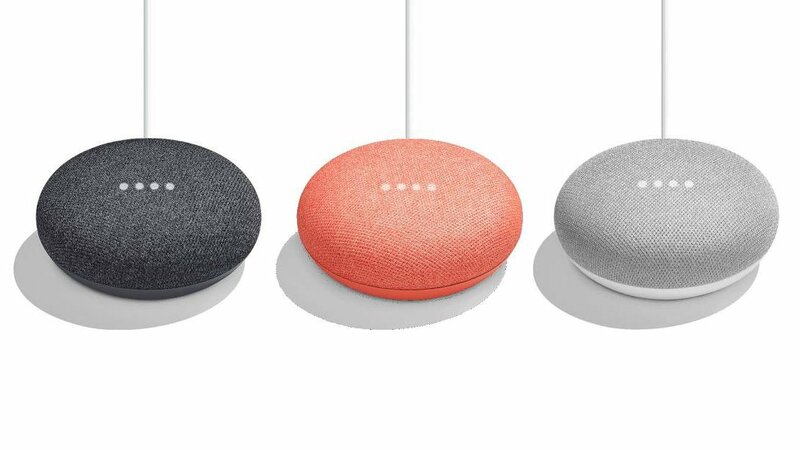 Put simply, Google's Home Mini speaker is a smaller version of the company's full-sized Home speaker. Google says it's around the same size as a traditional donut, or around four inches in diameter and one-and-a-half inches tall. This isn't quite as small as the Amazon Echo Dot, but many would argue that the Home Mini is more attractive, especially considering that it comes in a choice of colors. Google has also replaced the colored light array featured on the Home and given the Home Mini three simple white LEDs that activate when the device is listening or working, which keeps the device in line with its sleek and modern aesthetics. Like with other devices on the market, the Home Mini offers an array of microphones that ensure voices can be picked up from any angle, and while its built-in 40mm speaker isn't going to provide much to love for audiophiles, it should provide more than enough volume for simple tasks. In the case that fidelity is important to the owner, the Home Mini includes support for standard Bluetooth devices; unfortunately, those with older stereo systems will find the Home Mini lacking, as the device has no other output options, not even a traditional 3.5mm auxiliary jack. Like with other smart speakers, the Home Mini works with a suite of voice-activated functions. Google's Assistant back-end provides loads of functionality for reminders, timers, weather, news, and more, and the device works with partners Wemo, Honeywell, Nest, and others to provide smart home control from everything to coffee makers, garage door openers, lightbulbs, and central air conditioning systems. And, as a bonus, the Home Mini also works alongside Google's Chromecast, meaning users are only a few spoken words away from playing shows on Netflix or Hulu without ever having to lift a remote. Seeing as how the Home Mini is meant to be the budget-oriented version of the Home smart speaker, it should be no surprise that it costs less. 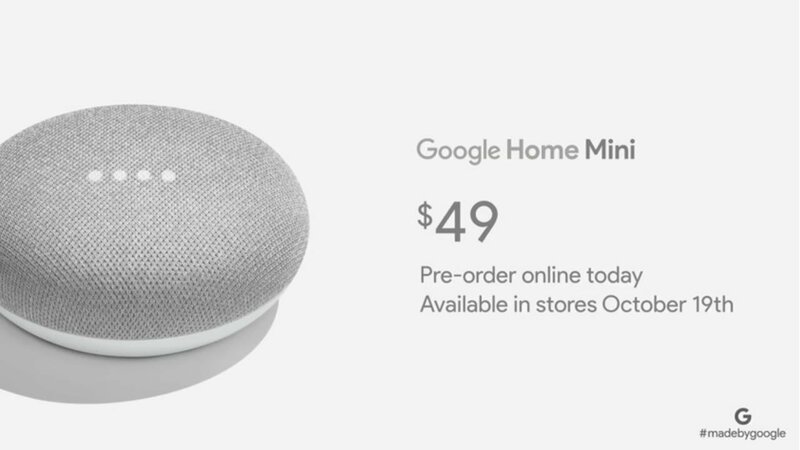 In fact, at just $49, the Home Mini costs $80 less than its more robust ancestor, and a full $350 dollars less than the newly-announced Google Home Max. Naturally, the Home Mini can't compete with overall features and sound quality, but its sub-$50 price tag makes it an easy sell for those interested in smart speaker technology. 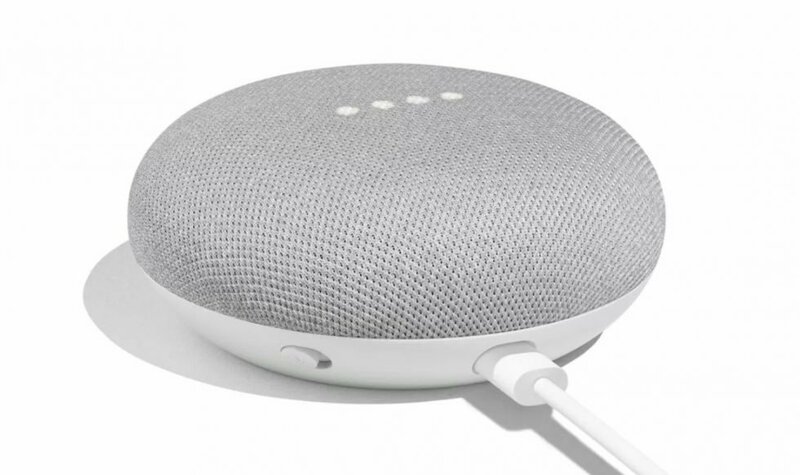 Like with many other Google products, the Home Mini can be found at essentially any popular retailer -- Best Buy, Target, Williams Sonoma, Verizon, Home Depot, and Walmart are among the listed sellers, and buyers can even pick one up through Google's own storefront, unsurprisingly called the Google Store. Preorders are open now through the Google Store, and though retailers like Best Buy and Verizon are supposed to have preorder options available, the only one we've found at the time of writing was through Walmart. If all goes as planned, users should be able to check out Google's latest small-scale smart speaker when it makes its proper release later this month on October 19. Thinking about decking out your smart devices with some cool accessories? Be sure to check out Modojo's Best Accessories homepage, where we've featured everything from protective and durable phone cases to flashy Bluetooth speakers and more.